John Tunnard is one of the most accomplished, yet most forgotten, modernists painters from Cornwall and he was one of a cluster of significant artists inspired by Surrealism living outside St Ives. He was born in Bedfordshire and graduated with a diploma in design from the Royal College of Art in London in 1923. For the next four years he worked as a textile designer in Manchester. Tunnard married fellow student at the RCA, in 1926, Mary Robertson. In 1929 he gave up commercial work to become a painter, supporting himself as a part-time teacher of design at the Central School of Arts and Crafts in London. Tunnard showed for the first time in 1931, at the Royal Academy of Arts. Tunnard's first one-man show was held at the Redfern Gallery in London in 1933. Most of the works presented depicted the landscape of Cornwall, where the artist and his wife had settled and established a hand block printed silk business in a fisherman's loft at Cadgwith on the LIzard. Tunnard began at this time to renew his interest in natural science, collecting entomological specimens on the moors for the British Museum of Natural History and observing the minutiae of nature art. 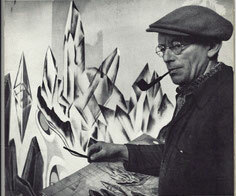 Although he never formally joined the Surrealist movement, Tunnard participated in several of the group's exhibitions in the 1930s, including Surrealism, held in 1939 at Gordan Fraser Gallery in Cambridge, which featured works by Max Ernst, Klee, Magritte, Miro and others. After the Second World War he taught briefly at Wellington School for a year before selling his cottage at Cadgwith and moving to Zennor in 1947. 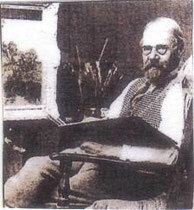 The following year he taught design at Penzance SChool of Art. In 1953 he moved to Lamorna, making a home in Trethinnick, the house at the head of the valley, where Laura Knight and her husband Harold once lived. At the death of his wife Mary (known as 'Bob') in 1970, he moved to a flat in Penzance, where he died the following year. The two artists are buried in Zennor churchyard. Although a sad occasion, it seems only right and proper that the artist Ithell Colquhoun should have died, aged 81, at Menwinnion Country house Hotel, as she had spent many years in her nearby Vow Cave Studio in Lamorna valley. Considering her status, it is surprising that the exhibition by her in Penlee House Gallery & Museum, Penzance, was the first such dedicated show of her work since her death twenty eight years ago. An artist who was born in Assam, India, when as she once told me (Frank Ruhrmund). 'The sun was in LIbra, the moon in, Gemini, Mars was in its mid-heaven with Saggitarius rising, and the ruling planet was Jupiter', it is not surprising perhaps that she became a Surrealist, a disciple of Dada, and a student of the occult and alchemy, of Celtic lore and mythology. Although brought to this country when a baby, she regarded her place and time of birth as being of prime importance, and as she reckoned it probably explained her great interest in Hinduism. educated at Cheltenham College, she attended the Slade School of Fine Art, London, where she cam under the influence of Henry Tonks and Randolphe Schwabe, and also studied privately in Paris and Athens but, despite all that, regarded herself as being largely self-taught. It was in the 1930s that she became closely involved with the Surrealist movement. She held her first solo show in 1936 at the Cheltenham Municipal Gallery, followed by one at the Fine Art Society, London, and it was in that same year she nmet Salvador Dali. As she said, 'He was minute, feverish, with bones brittle as a bird's, and he had a mop of dark hair and greenish eyes.' Later she also met Andre Breton who had become the movement's leading figure after the demise of Dada. She came to Cornwall, to Vow Cave Studio in Lamorna valley in the late 1940s, and for a number of years shared her life between Lamorna and London. An author as well as an artist, those years would lead eventually to her book The LIving Stones published in 1957. In Virginia Woolf's 'A Room of One's Own', her central premise is that 'a woman must have money and a room of her own if she is to write fiction'. Gluck wanted to be an artist. She had sufficient private income, and many rooms of her own to succeed in doing this. 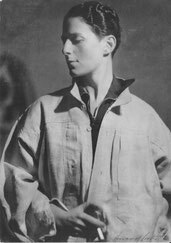 Gluck was born Hannah Gluckstein. Her father Joseph Gluckstein was one of the tightly knit Jewish cousins who established the Lyons Catering empire in the 1880s. Gluck studied at the St John's Wood Art School. Gluck felt the female students were not taken seriously in the training provided for them. The artist, John Armstrong, who was to be another Lamorna resident, was a fellow student with Gluck at the school from 1913-1915. By this time, Gluck established that this was to be her monosyllabic name, 'no prefix, no suffix, no quotes',even with her family. When going about London with Effie Craig ('Craig'), a fellow student, Gluck would 'be flourishing in a new style garb', in a long cloak. Becoming frustrated both professionally and personally, it was at St John's wood that she was to come into contact with Alfred Munnings, and this association was to change her life, and her art. In 1916 Gluck went with Craig, and teo other students, to Lamorna for a month. This had been Munnings suggestion. The four girls stayed with the Leaders at Rosemerryn, and so the link with Lamorna, which would continue for the remainder of Gluck's life, began. Her delight at mixing with and living amongst established, working artists was immeasurable. 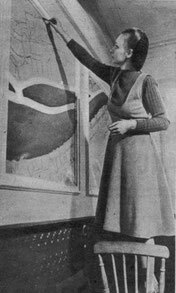 Gluck took on board the personal and artistic freedom of the many artistic residents of Lamorna she became friendly with. These soon included Lamorna birch and his family, Alfred Munnings, Laura and Harold Knight, the Napers, and the Proctors. They were vibrant and inclusive; they worked hard and [layed equally hard;they thought little of her chosen mannish attire and exotic style and pipe smoking- even if the more conservative Cornish residents were not to sure. Lamorna birch took her to see his favourite landscape spots and he and the Birch family became close froends. Mornie Kerr was to remain in touch with Gluck throughout her life. Munnings drew a portrait of Gluck sitting on a hillsaide. Initially Gluck used the 10x8 foot shed Laura Knight had, used as a studio. THe four art students had a wonderful month painting and partying now in Laura Knight's larger studio where Gluck's singing was also much appreciated by the group. This was the 'Letter Studio' Gluck was later to own. 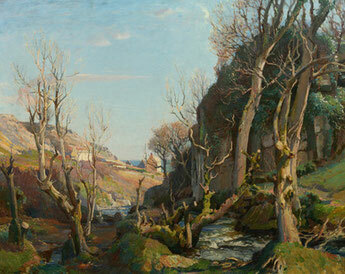 The return home to St John's Wood was very frustrating for Gluck and she soon returned to Lamorna with Craig. She rented a simple cottage 'Newtown Cottage', formerly staff housing on the Boskenna EState. This was to be re-named Dolphin cottage when she purchased it in 1954. The writer and illustrator, Crosbie Garstin (1887-1930), led an extraordinarily adventurous life and, as a writer, produced a very varied and highly acclaimed body of work, having the eye of an artist, the soul of a poet, the ear of a mimic, the wit of an Irishman and the irreverence of a renegade. After various failed attempts to find him a career and a spell at the Forbes Art School, where he went drinking with Alfred Munnings and fell in love with Fryn Tennyson Jesse, he set sail for Canada in February 1910 and, over the course of the next two years, he worked as a horse-wrangler and broncho-buster in Saskatchewan, as a cowpuncher and the lead buster for the 2-Bar outfit in Montana, as a harvester in the Qu’Appelle Valley, Saskatchewan, as a lumberjack by the Columbia and North Thompson Rivers in British Columbia, and as a navvy in mining camps on the Pacific Coast near Vancouver, whilst also taking a stake in a gold mine in Stewart in northern British Columbia. Then, with the help of William Bolitho, he became in May 1912 a bush ranger in Bechuanaland, South Africa, and then a cattle ranch manager. As his spell in the semi-desert of Bechuanaland coincided with a severe drought, Crosbie was delighted when War meant that his 'exile' was over, and he returned to enlist in the colonial cavalry regiment, King Edward’s Horse, in November 1914. He had several spells at the Front in France and also served in Ireland at the time of the Easter Rising in 1916 and in Italy. His exceptional ability with horses led him to being the Riding Master on a number of occasions. He was first published as a poet, but made a significant name for himself in literary circles with his comic war pieces for Punch. He subsequently produced a number of novels and short stories drawing on his pre-War experiences but is best known for his swashbuckling novels of eighteenth century Cornwall, known as the Penhale trilogy. His final novel, China Seas, was also made into a Hollywood blockbuster, starring Clark Gable, Jean Harlow and Wallace Beery. He was drowned at Salcombe on Easter Sunday 1930, aged just 42 – albeit some contend that he did a disappearing act as his body was never found. The leading figure of the second flowering of the Newlyn School, Samuel John Birch was so smitten with the Lamorna valley and cove that he took its name as his own, becoming known as Lamorna Birch. Samuel John Birch was born in Egremont, Cheshire. Apart from a brief period of study at the Atelier Colarossi, Paris in 1895, he was largely self-taught as an artist. Birch first visited West Cornwall in the late 1880s and settled in the Lamorna Valley in 1892. He adopted the epithet ‘Lamorna’ in 1895 to distinguish himself from fellow artist Lionel Birch (an idea suggested by Stanhope Forbes). He is regarded as the father figure of the later group of ‘Newlyn’ artists, which included Laura and Harold Knight, Alfred Munnings, Frank Gascoigne Heath and Stanley Gardiner, known as the Lamorna group. 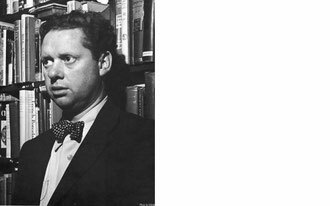 In the 1930′s Dylan Thomas brought his mistress, Caitlin, to spend time in Oriental Cottage, Lamorna. 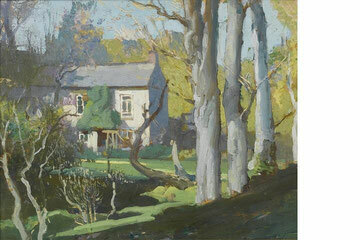 Oriental Cottage was situated near Birch’s studio, by a trout stream running down to the sea, where daffodils and rushes grew right up to the salt-water line. Set deep in the valley stream-side, the lovers spent their holidays in the hideaway before finallygetting married in Penzance. Here beneath the beams of the shipwrecked “Oriental” it’s believed Dylan composed some of his great works. Dylan Thomas also described Lamorna as "a beautiful little place full of good fisherman and indifferent visitors", in a letter to his parents.At other times Dylan Thomas dismissed Lamorna as a place where one could buy a surrealist ‘for a couple of whiting’, but for many years a bush outside Oriental Cottage was known as ‘Dylan’s’ because of the regularity with which he fell into it when drunk. The artists associated with the Lamorna Valley, Newlyn and St Ives are included in the West Cornwall Art Archive (WCAA). The Cornwall Art Index (CAI) is a project sponsored by linked organisations and is a comprehensive listing of past and present artists. The CAI complements and expands the initial listing of artists who were included in Dictionary & Source Book: Artists in Newlyn and West Cornwall 1880-1940 (2009, Art Dictionaries Ltd).